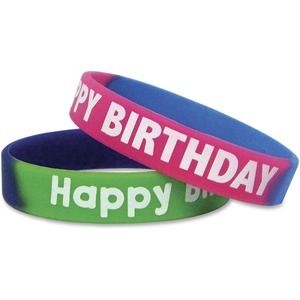 Build awareness for special people or events with these two-toned wristbands. Assorted designs provide more options for children to choose. Latex-free wristbands are tested and compliant with all Consumer Product Safety Commission standards.